Whether you're a member, a casual golfer or in search of refreshment, one thing's for sure; a warm welcome awaits you in the clubhouse at Gulf Harbour Country Club. The newly refurbished Ferntinental cafe is open to the public seven days a week serving fabulous espresso coffee and is unique in serving Nitro Coffee. The cabinet is filled with a selection of delicious sandwiches, croissants and bagels in addition to some mouth-watering desserts, our favourite being the classic carrot cake. 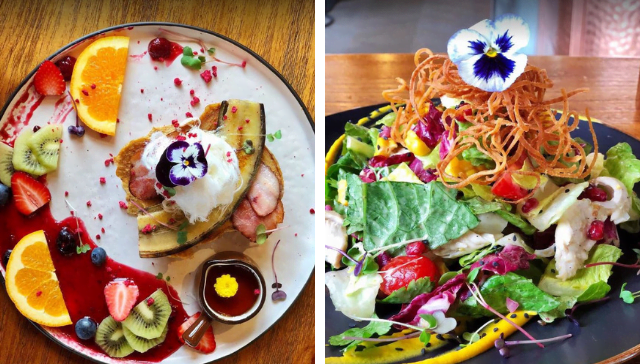 The Ferntinental cafe also has an extensive all-day menu with all your favourites, all with a modern twist to them. Our must-try is the 'Mighty Beer Burger' served with a brioche bun, American cheese and our hashtag fries that satisfies the bigger appetites. Or for something lighter then the 'Soba Noodle Salad' served with grilled garlic prawns is the perfect summer dish. With so many choices then a return visit is s must. The cafe is fully licensed so enjoy a glass of wine or a cold beer overlooking the 18th fairway where our friendly staff will look after you.